Yesterday was spring cleaning day - basically the floor of my truck is my tool bag over the year, but there is in fact a bag that most of it fits in. So out it all came. An hour later, all was cleaned, oiled and sharpened, ready for battle. Masamune shears, Tobisho shears, 2 pairs long Okatsune shears, 2 pairs short Okatsune shears, kama sickle, Okatsune folding saw. And Silky Gomtaro. 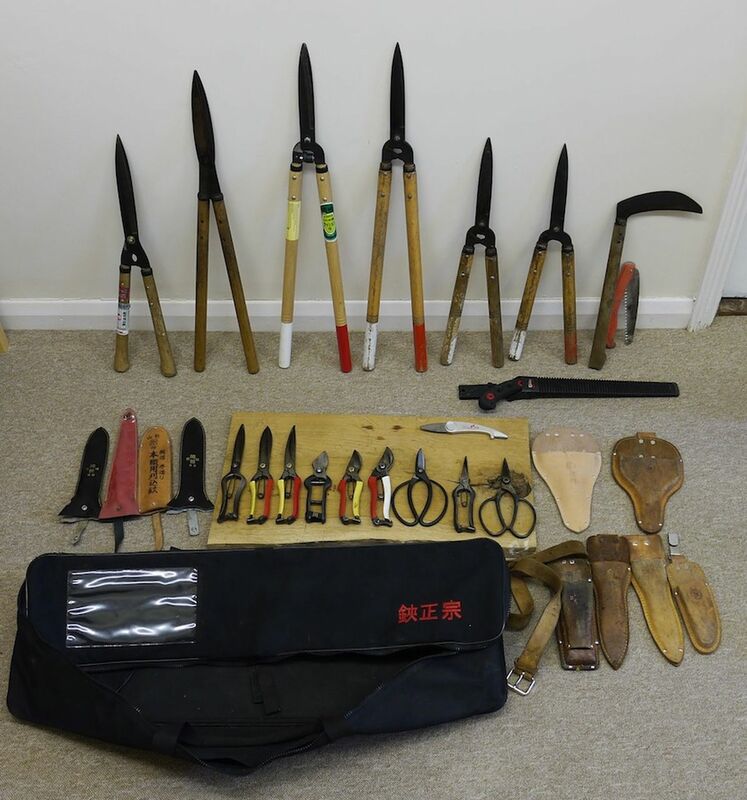 Waksasaya clippers, Tobisho clippers, Tobisho Barracuda clippers, Tobishor secateurs, Tobisho secateurs, Okatsune secateurs, Sasuke garden scissors, Tobisho 'mekiri' snips, Okatsune garden scissors, Swiss Istor Duplex, various holsters and tool belt.